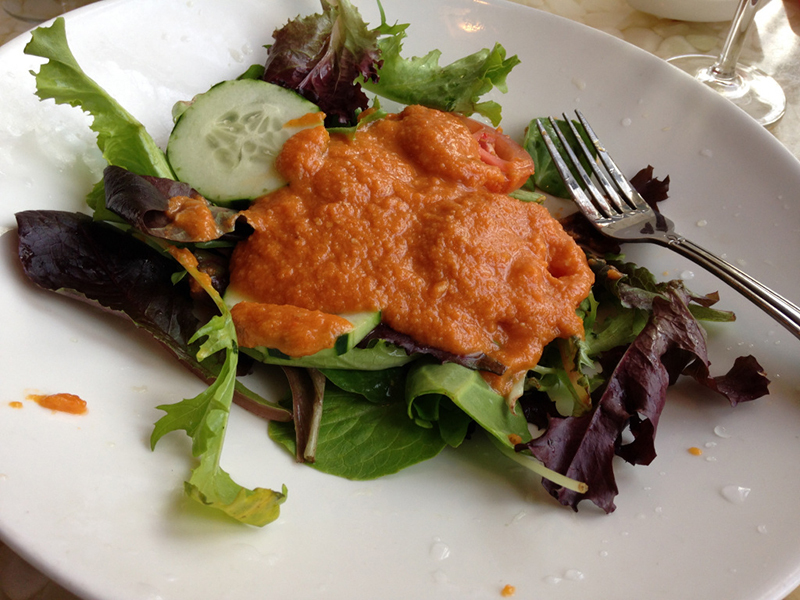 Joanne and I live in the downtown Edina area, within walking distance of the movie theater, the grocery and liquor store, and of course SALUT and the other restaurants that populate the neighborhood – Edina Grill, Arezzo, Beaujo’s, Coconut Thai, and D’Amico. 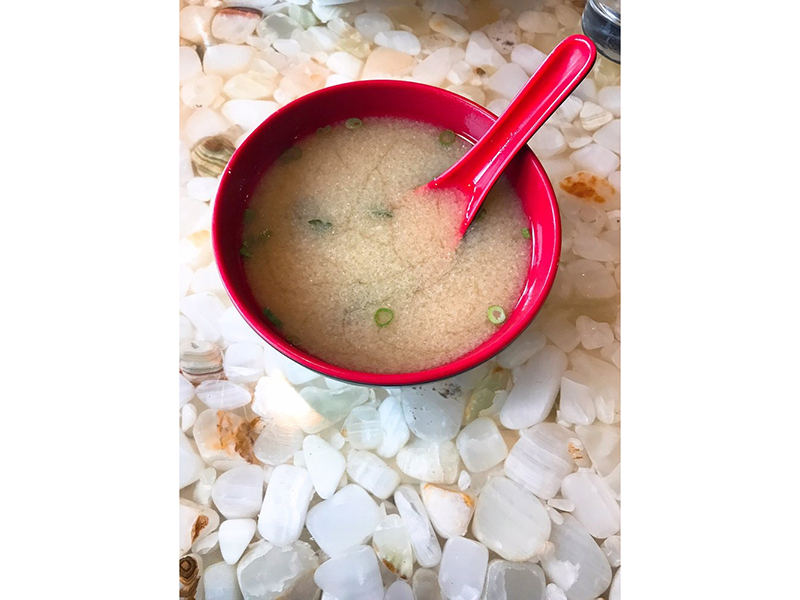 We frequent them all, but the one we dine at the most often (other than SALUT) is RAKU…tucked between Lunds’ parking lot and the Edina Movie Theater, at 3939 W. 50th Street. Well, it’s a cozy space – stylish but not chic, with a muted color palate, and just plain comfortable. 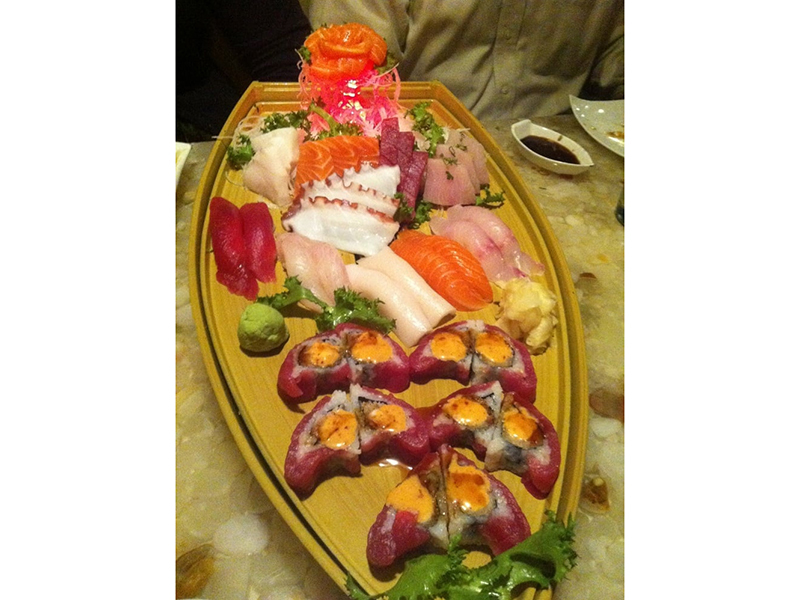 Now, I’m not a HUGE fan of Japanese cuisine…but I do like it from time to time. It’s a refreshing change of pace. 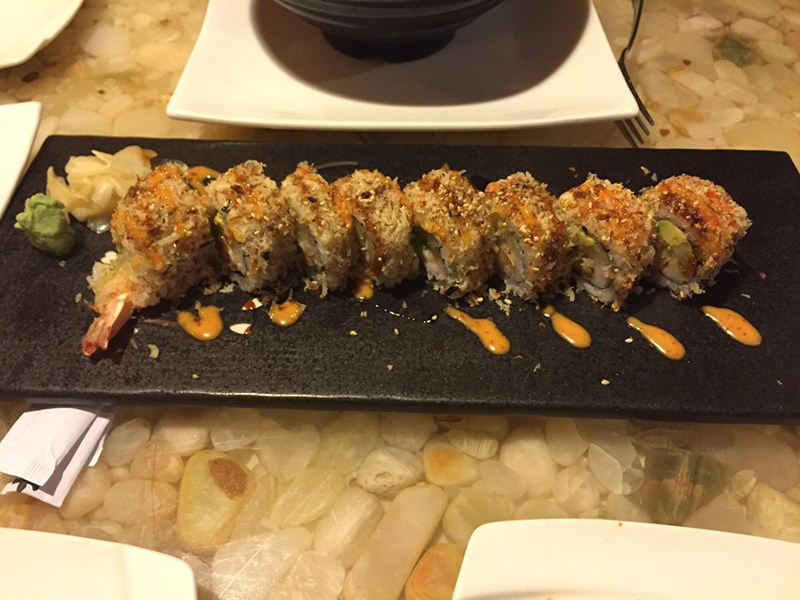 RAKU feels REAL, not contrived. 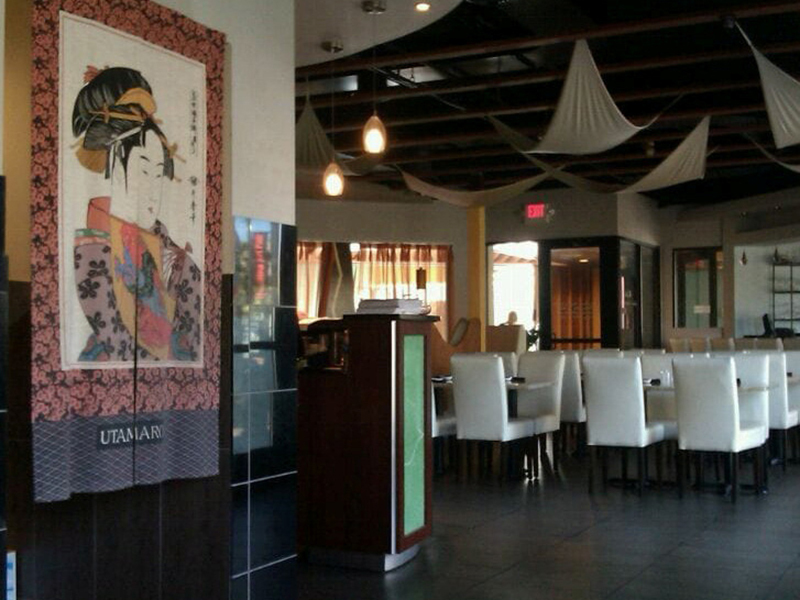 In fact, the restaurant has a pronounced home-spun quality that suggests it’s family-run – and, by and large, run well. Even the occasional slips are endearing; a reminder that this isn’t a well-oiled corporate chain (“Hi, my name’s Sally and I’m going to be your server tonight…”). 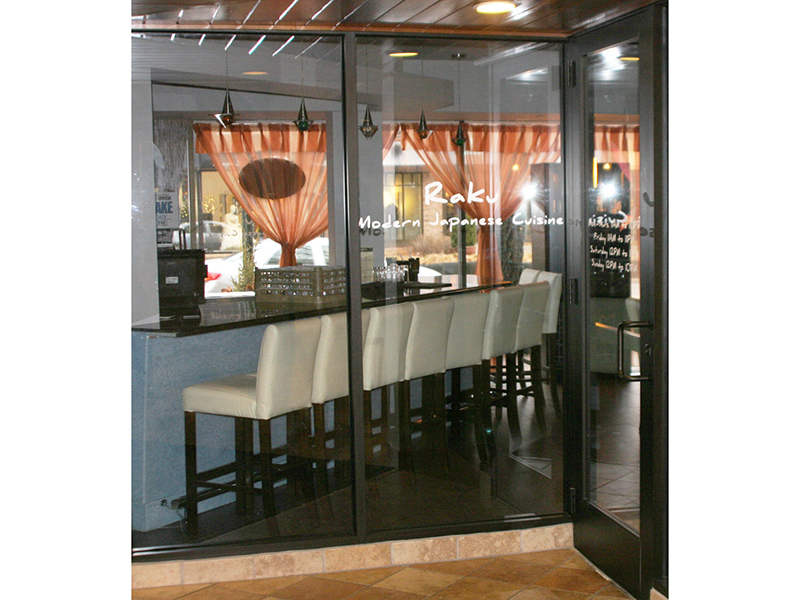 A few weeks back, Mama (who doesn’t speak English) gave away our coveted (and reserved) window booth, but who cares? It’s obvious they mean well. 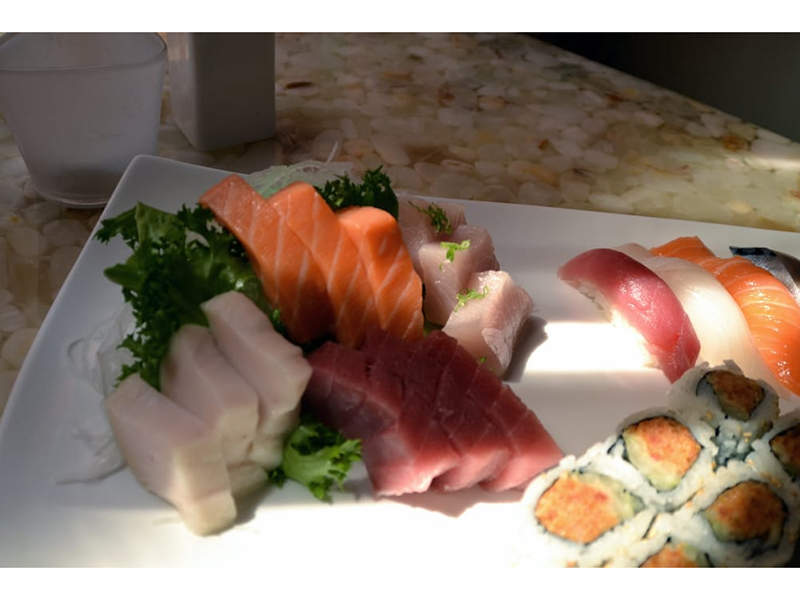 Since we don’t dine often at Japanese restaurants during our travels, I can’t really judge how their food compares to other Japanese restaurants around the country. 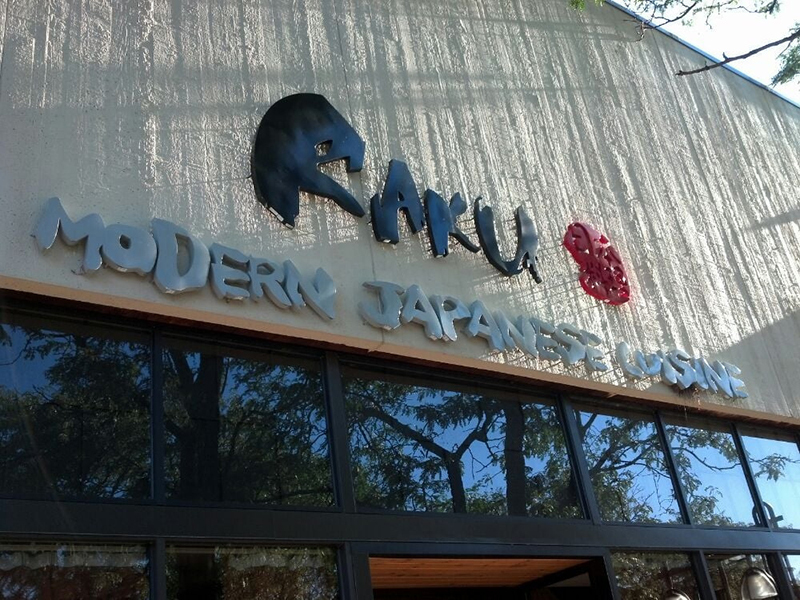 Raku calls itself “MODERN JAPANESE.” And I suppose that the closest I’ve come to a restaurant along those lines is MORIMOTO in Honolulu. 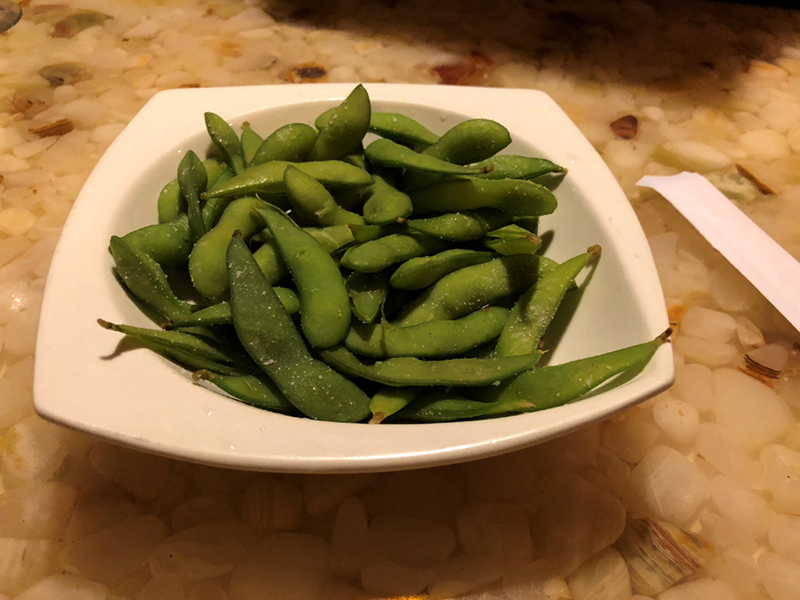 Joanne and I always start with a $5 order of well-salted Edamame Beans and frequently Miso Soup ($3. 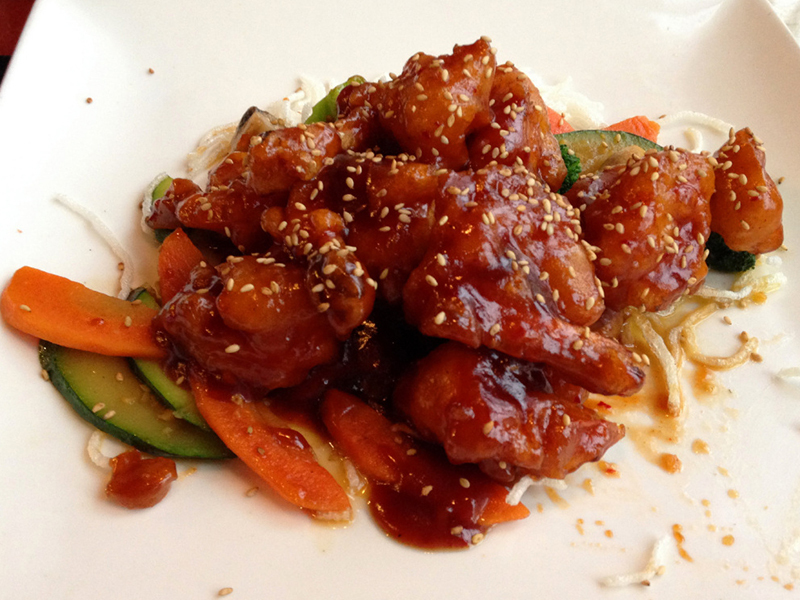 Yes, just $3). 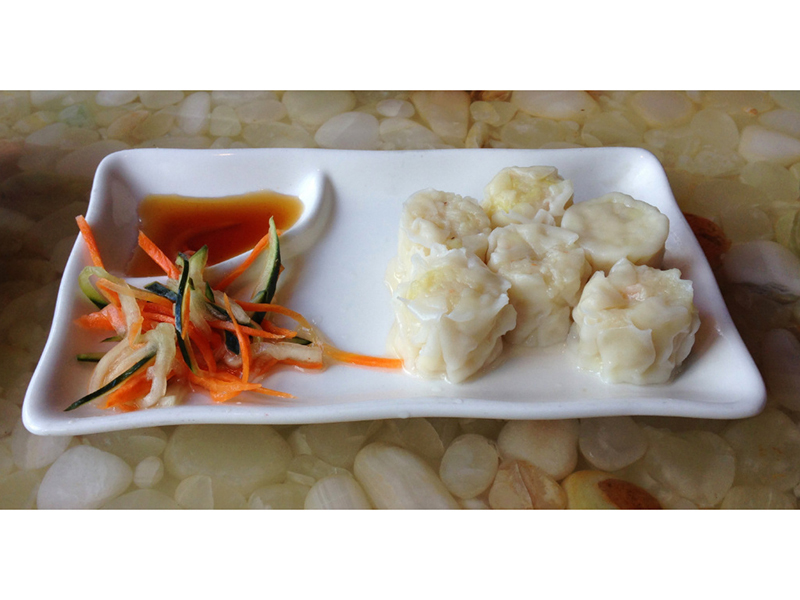 On occasion our entire evening meal will consist of appetizers, including Shumai, Steamed Shrimp Dumplings with a little Asian slaw and Ponzu dipping sauce ($6). 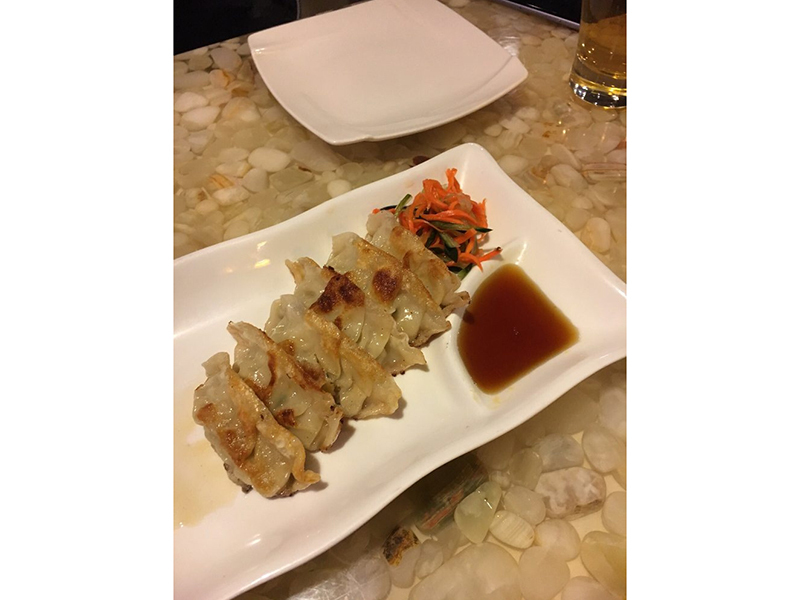 Don’t miss the pork-filled Gyoza Dumplings, either. 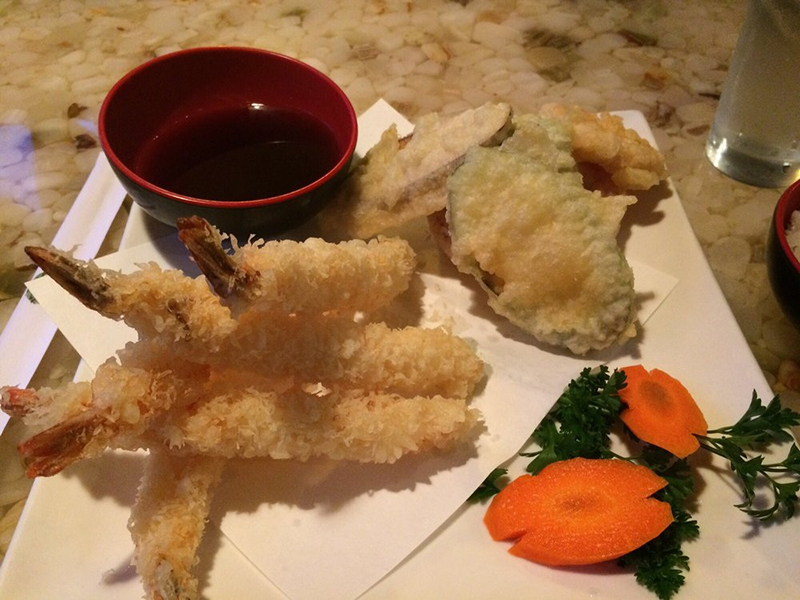 They can be ordered either steamed or fried (also $6). 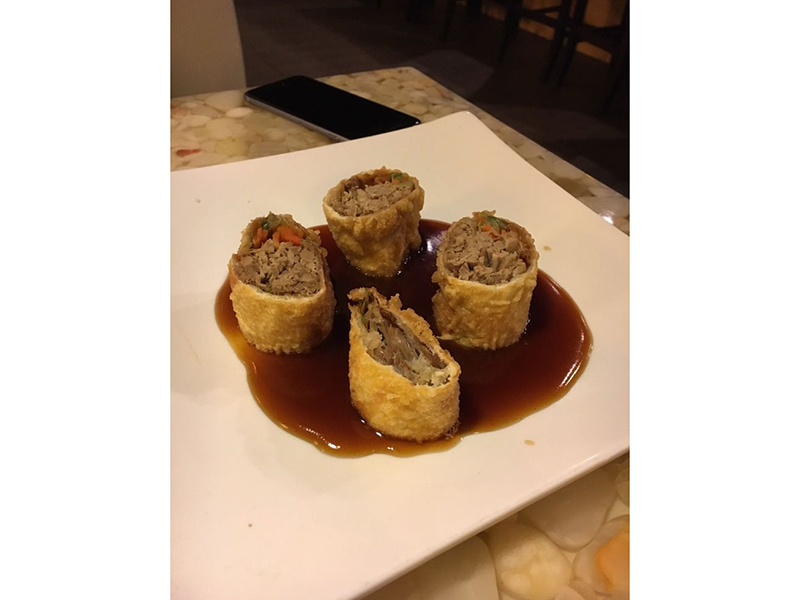 Duck Springs Rolls are a treat for me, though not for Joanne; she prefers the sushi Ginza Roll (rock shrimp tempura and asparagus topped with a crab mix) or the Captain Crunch Roll, stuffed with shrimp tempura, avocado, cucumber and crab, all rolled in crunchy tempura flakes and served with a slightly sweet sesame sauce. 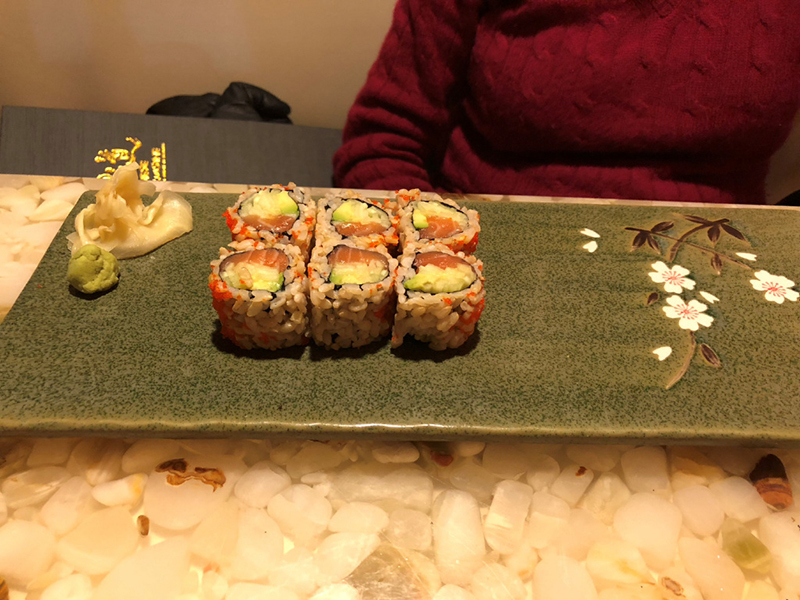 Joanne basically loves the Alaska Sushi Roll, packed with salmon and avocado, rolled up in brown rice (right up her alley), and touched with tobiko (flying fish eggs, which definitely AREN’T up her alley). 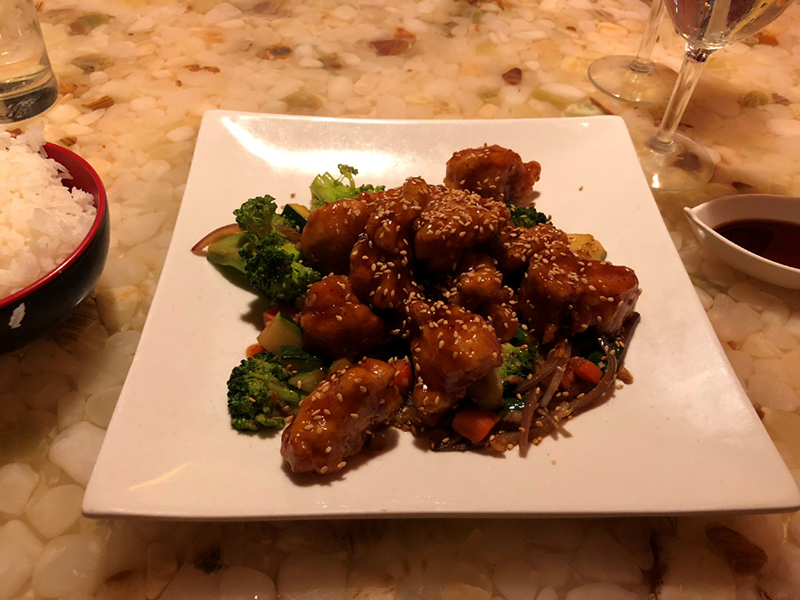 It’s about now that we start washing down our food with a chilled bottle of white wine…usually Ferrari Carano Fumé Blanc – reasonably priced at $45. 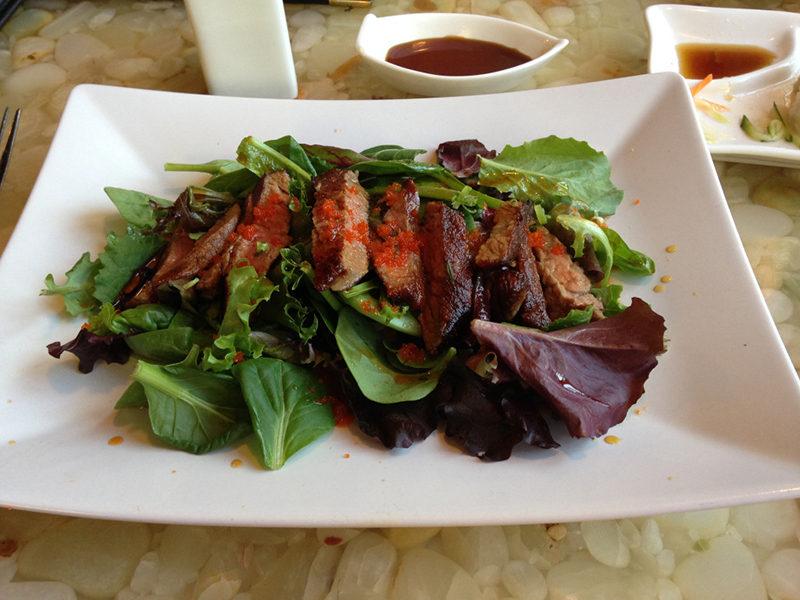 Salads are not a Raku strong suit. 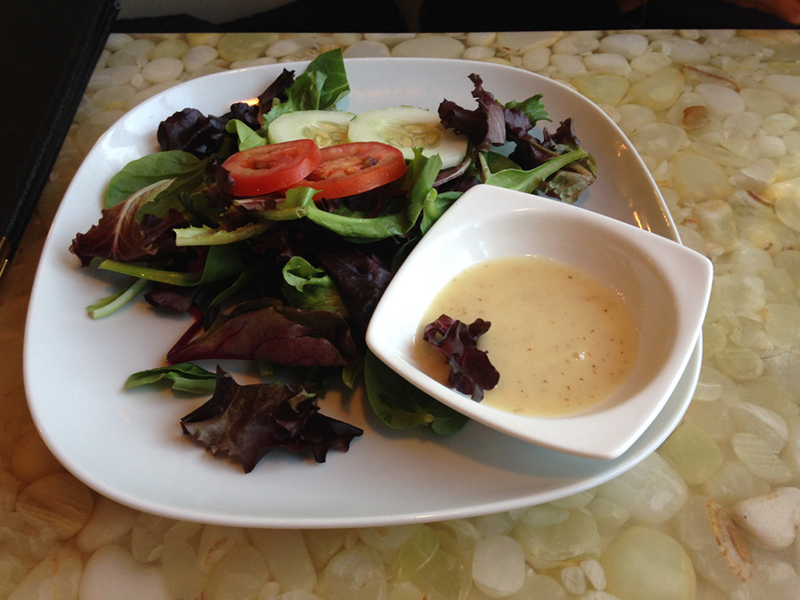 They’re frequently over-dressed, but that’s easily remedied by ordering your dressing on the side. Our 12-year-old grandson recently had their Steak Salad, which is quite good with sliced filet mignon and – at $14 – a real bargain. 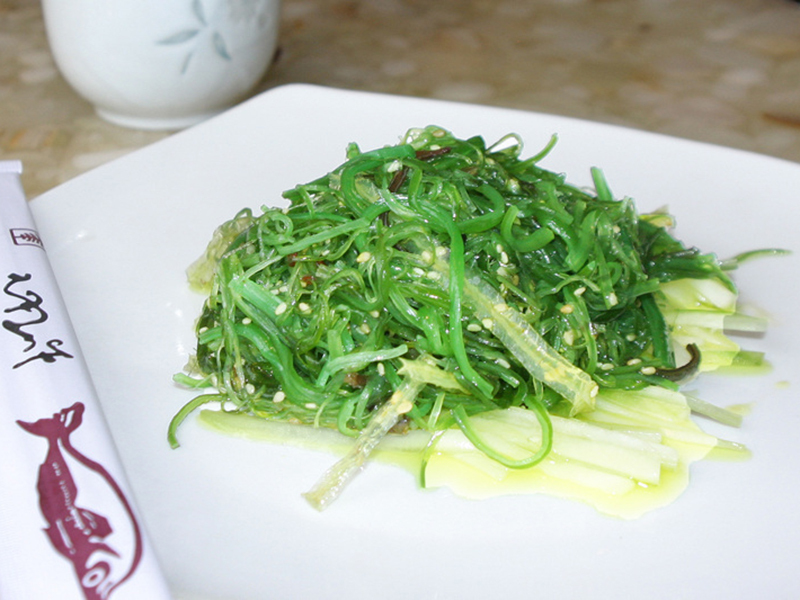 Our favorite starter salad, by far, is the Seaweed Salad ($6). 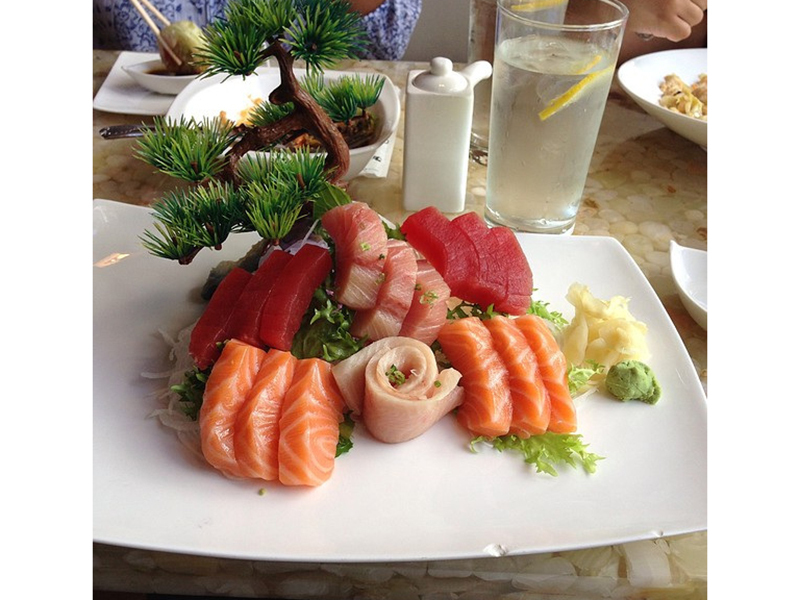 Sashimi Plates are pristinely fresh. Expensive? 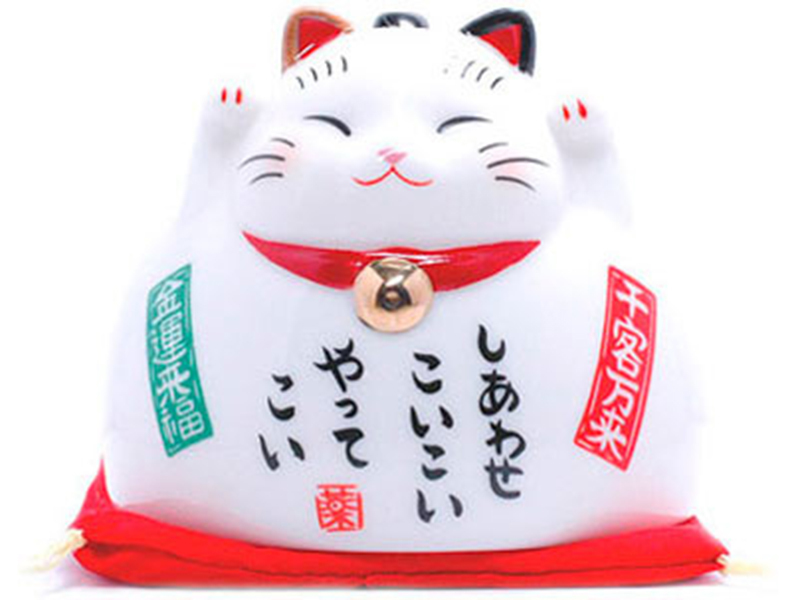 Yes, but who wants to eat cheap raw fish? 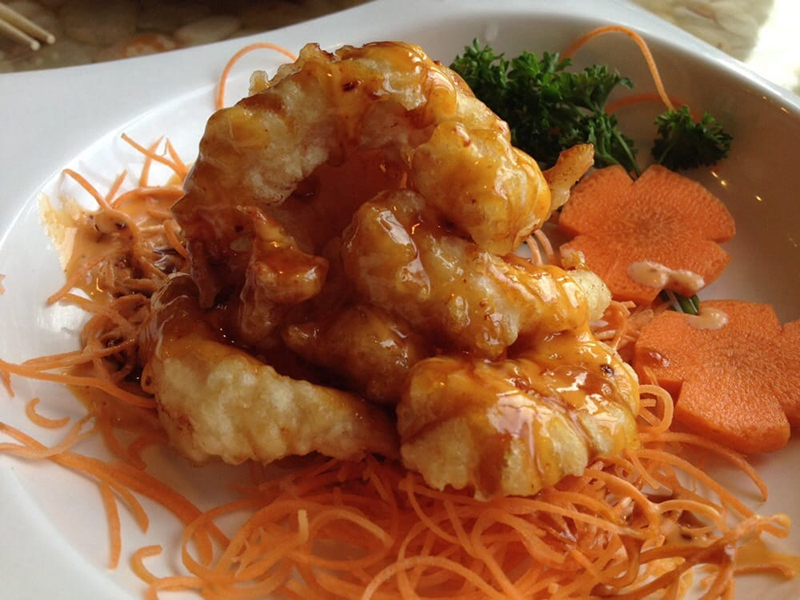 Rock Shrimp Tempura, Veggie Tempura, Sesame Shrimp and Sesame Chicken, and the Chicken-Fried Rice (a highly complementary side dish). 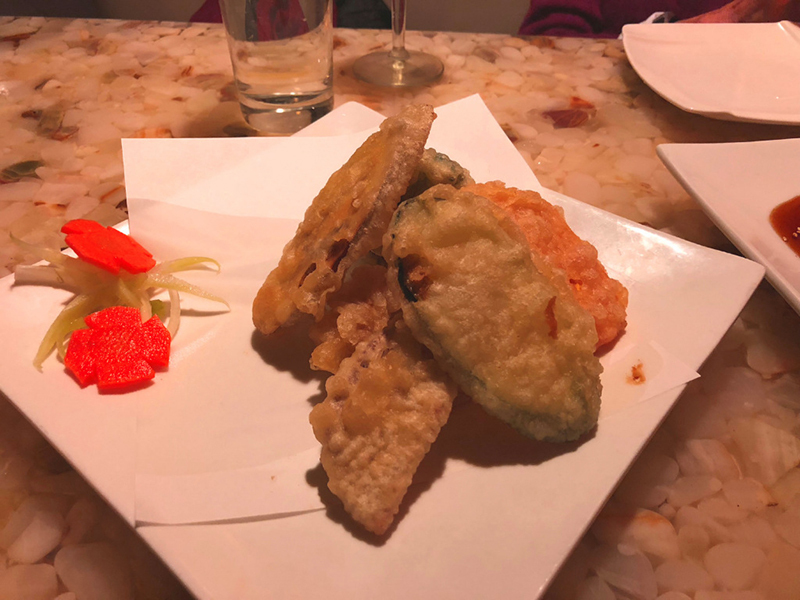 I recently tried the Crispy Tuna atop crispy eggplant with smoked eel sauce and spicy mayo. 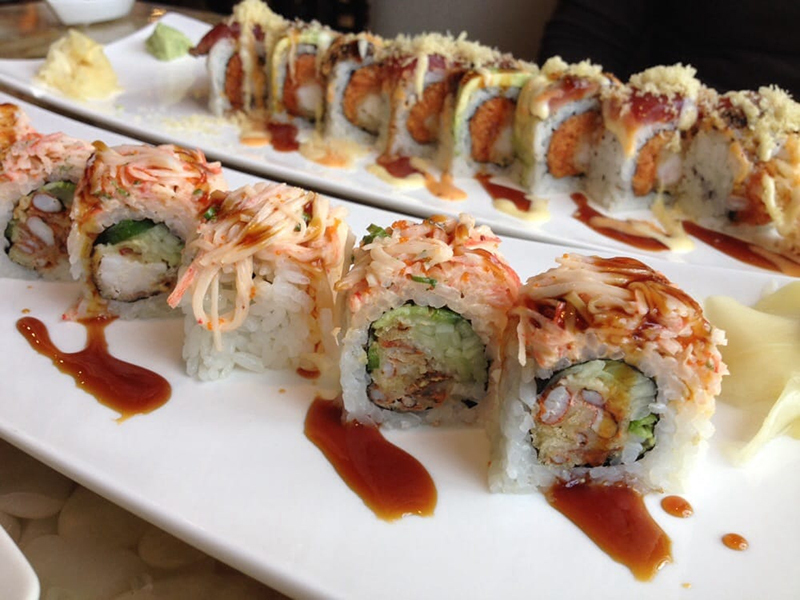 I’ll have that again. 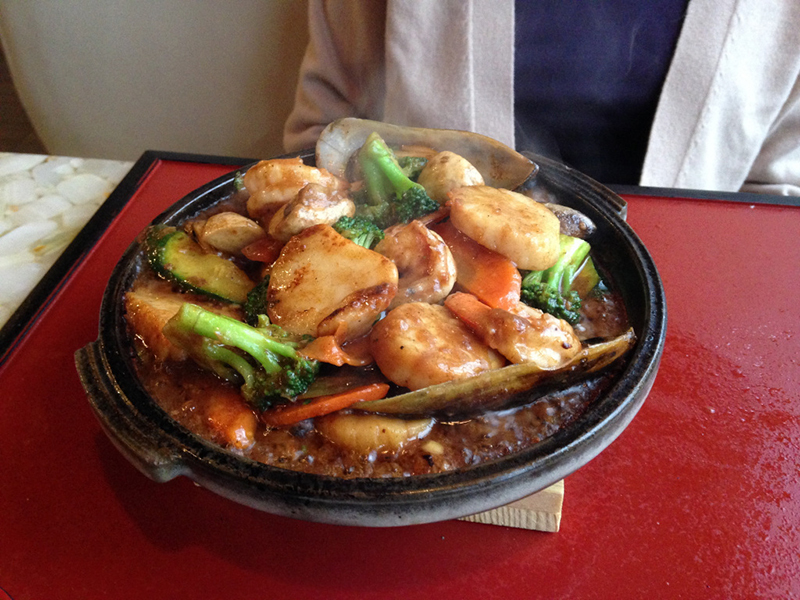 If you find yourself up for a main course, by all means try the Toban Yaki. 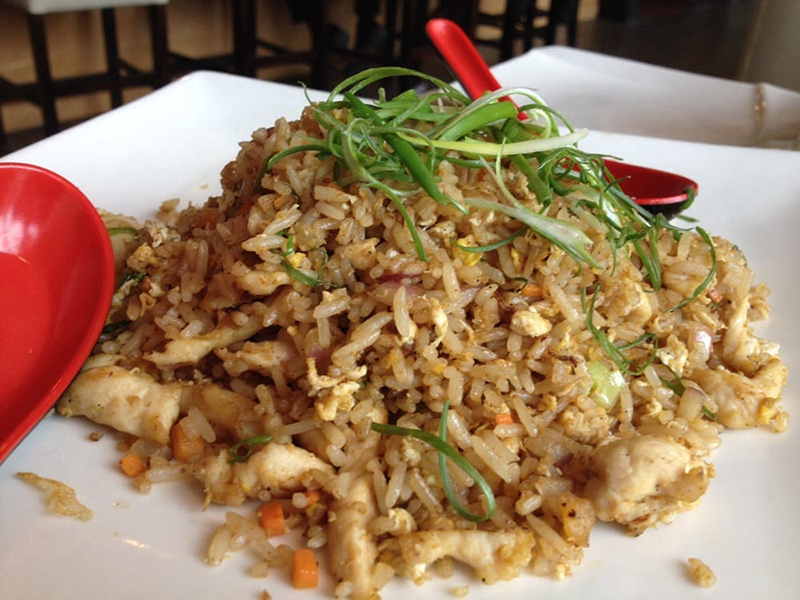 The name means “cooked on a ceramic plate” and this dish arrives HOT, so be careful. 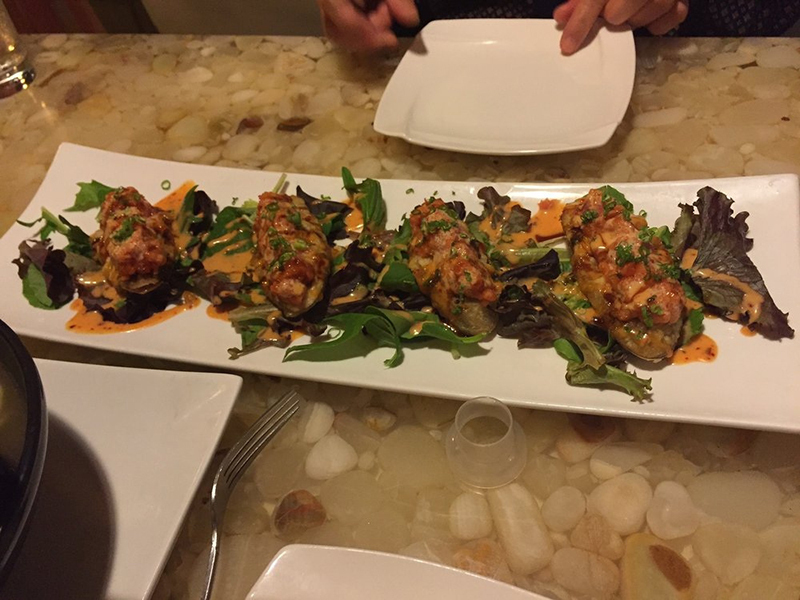 A while back Joanne had the mixed Seafood Toban Yaki, redolent with scallops, shrimp and other seafood stuff. I’m not sure if they still do this dish; it might only come in a beef version now. 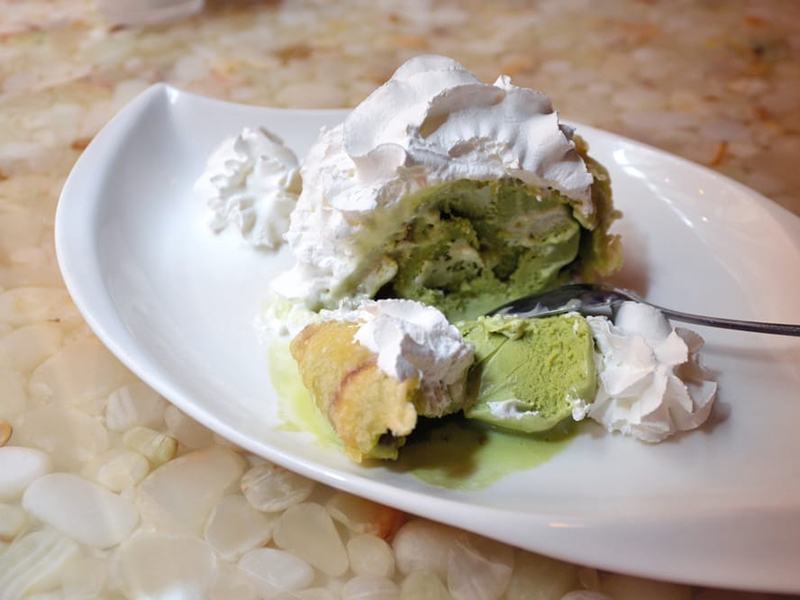 Finish up with Green Tea Tempura Ice Cream – deep-fried and full of antioxidants. Healthy? Uh, sure. 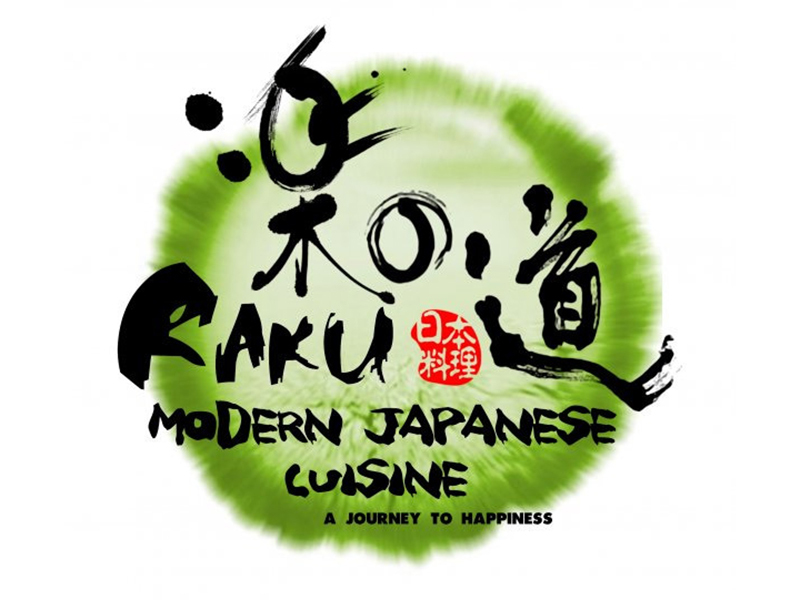 Well, this posting probably won’t mean much to readers outside of the Twin Cities, but WTF – Raku deserves a shout-out!